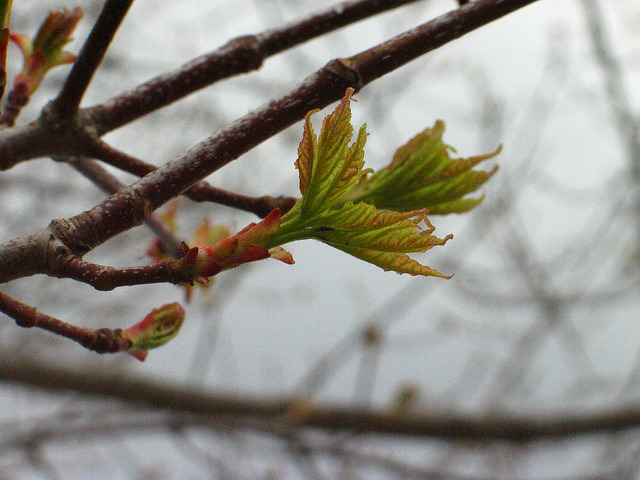 For decades, researchers have sought to document whether the start or end of the growing season is changing, and whether these changes vary geographically. Traditionally, this has been attempted using satellitederived information. Findings have varied widely in documented trends, due to differences in the data products and algorithms used. In a novel use of phenology data curated by the USA-NPN, a group of researchers based at Yale University aimed to clarify regional long-term trends in the growing season for the U.S. by combining these ground-based observations with the oft-used satellite derived information. Using this improved technique, these researchers determined that over the past 30 years, the growing season has lengthened by approximately one week in the eastern U.S. and the upper Rocky Mountains, and that these changes are a direct result of warming temperatures in these regions. This analysis is a shining example of the sorts of evaluations that are now possible due to the data and data products that the USA-NPN is making available. Citation: X. Yue, N. Unger, T. Keenan, X. Zhang, and C.S. Vogel. 2015. Probing the past 30-year phenology trend of U.S. deciduous forests. Biogeosciences 12: 4693–4709.